A diplomatic source told Reuters Tuesday night that a final deal on Iran's nuclear program will allow international inspectors into Iran's covert military nuclear sites, but an Iranian official lost no time in denying that prospect. An Iranian source involved in the nuclear talks in Vienna told the Iranian semi-official Fars News Agency that the report of inspectors from the UN's International Atomic Energy Agency (IAEA) being allowed in to the secret facilities was false, according to Yedioth Aharonoth. The source said that the report of inspections is a form of "psychological warfare" and a "media stunt" meant to influence public opinion ahead of a conclusion to the lengthy negotiations, which have meandered on since an interim deal in November 2013. Entry by international inspectors into Iran's secret military facilities is a red line that will never be crossed, according to the source. Iran's insistence on no inspections of its military sites - such as Parchin which has been tied to its nuclear program and where it has admitted to testing exploding bridge wire nuclear detonation devices - has been a major sticking point in talks. A final deal has remained elusive with numerous deadlines passing to no avail, although officials have speculated that a deal may be reached on Tuesday. 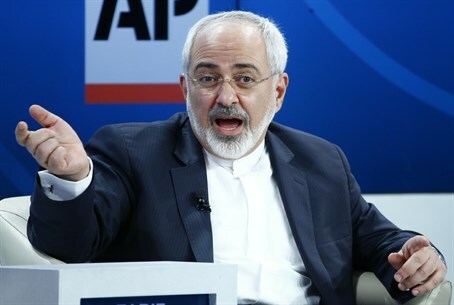 Regarding a deadline, an Iranian source involved in the talks told Fars on Monday before Monday night's proposed deadline also passed that, "there has originally been no deadline specified for the current talks that one could say needs further extension." However, before Monday talks passed through three deadlines that were extended one after the other, first on June 30, then July 7, and then July 10 which coincidentally was Iran's "Death to Israel Day." Aside from the inspections issue, other key disagreements remaining involve Iran's refusal to disclose the military aspects of its nuclear program, its demand for the immediate removal of all sanctions, and a demand to end the UN arms embargo on the Islamic regime.